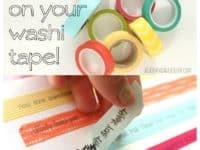 In the world of simple and reliable crafts, nothing has trended so hard or made us as happy a washi tape! 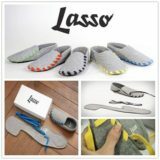 There are simply so many colours, designs, and patterns you can choose from and so many ways you can use it that the crafting possibilities feel basically endless. 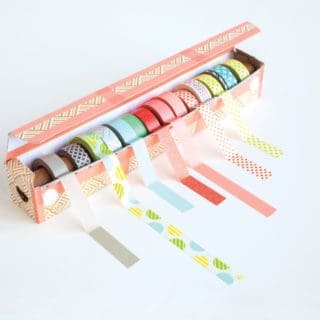 By now, we’ve amassed quite an impressive collection of washi tape, so we’re always on the lookout for new crafts to try and different ways to use it that we haven’t done before. 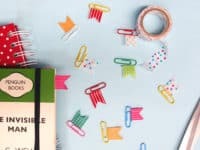 Just in case you love the idea of get crafty with washi tape in all different ways just as much as we do, if not more, here are 15 of the most creative ideas we’ve come across in our search for inspiration so far! 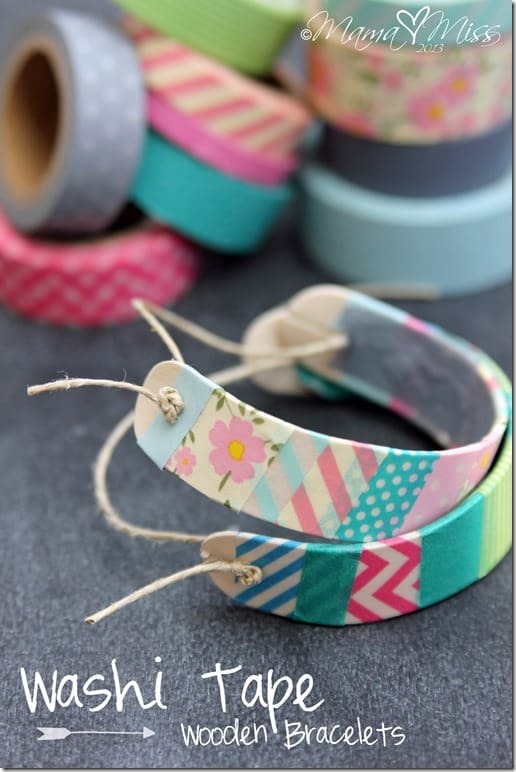 As much as we love the idea of washi tape in all its different colours and patterns, we find that we don’t often see washi tape with letters and words on it! Even if we did find that, it probably wouldn’t say what we’re looking for anyways when it comes to, for example, our scrapbooking projects. 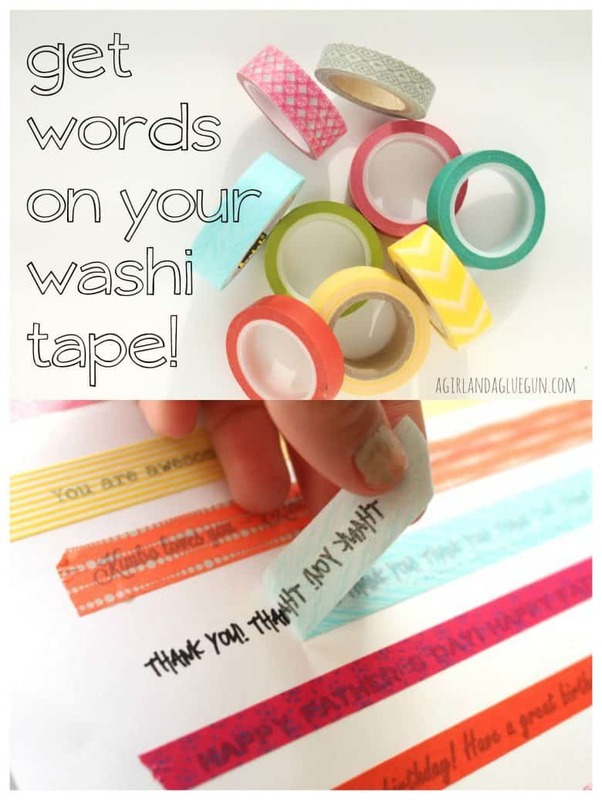 That’s why we thought this custom technique for putting letters onto washi tape before you stick it somewhere was such a good idea! See how it’s done in more detail on A Girl & A Glue Gun. Are you the kind of worker or student who loves to marker pages in certain things in order to keep yourself organized because it’s such an easy way to refer back to the information you need? We always did that too, usually using paper clips. 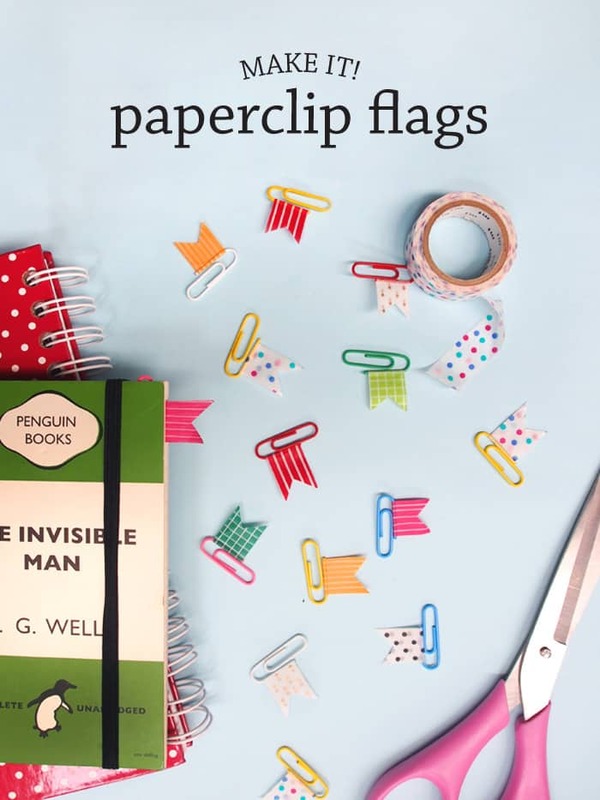 Sometimes, though, the paper clip would get lost in something that has many pages, which is why we thought this idea from Paper and Pin for adding a little flag using washi tape to make it easier to find was such a good one! Have you ever looked down at your school or art pencils and thought about how boring they look and how much more inspired you’d feel while using them if they looked like they had a little more personality? We used to love customizing our school supplies, so we can’t say we blame you! 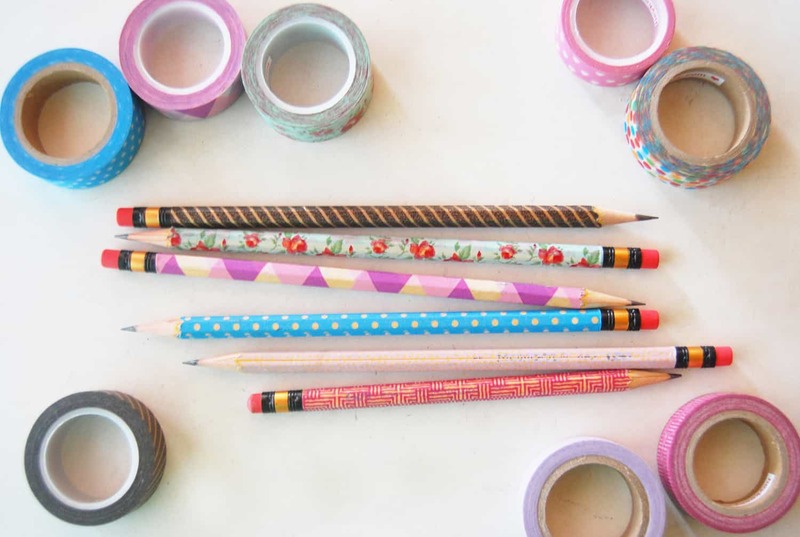 Check out how The Pink Doormat did precisely that by wrapping their pencils in washi tape in all kinds of fun patterns and colours. 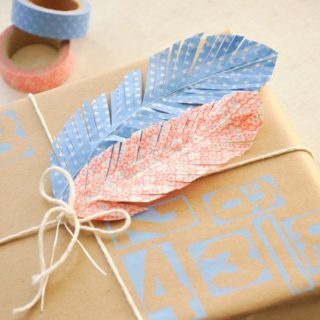 Pencils aren’t the only thing you can wrap in washi tape in order to add a little bit of decorative personality! 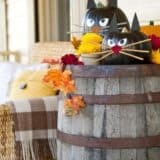 It’s actually a great way to jazz up all kinds of little things around your house. 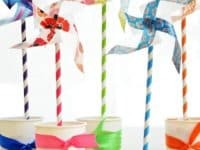 We’re particularly huge fans of the way I Spy DIY made these plain glass candle votives look a little more cheerful by adding different kinds of washi tape in stripes. Are you living in a dorm room or temporary apartment that you really want to decorate but that you can’t alter and know you’ll leave soon, so you’re looking for simple customization methods that are really low maintenance? 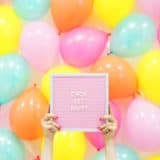 Then we’d definitely suggest taking a look at the way DIY Sponge “framed” the photos they chose to hang on their wall in coloured washi tape shapes, rather than buying and hanging actual photo frames. 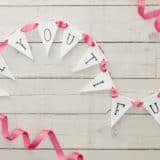 Has this whole concept of easy, affordable, and temporary ways of adding some low maintenance customization to your home really appealed to you and now you’re wondering how else washi tape can be used to add colour to things like walls? 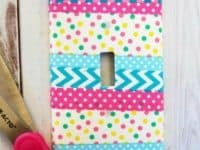 Then we think you simply must take a look at how Almost Makes Perfect added hue to the details by putting a washi tape trim around the edges of their closet doors. 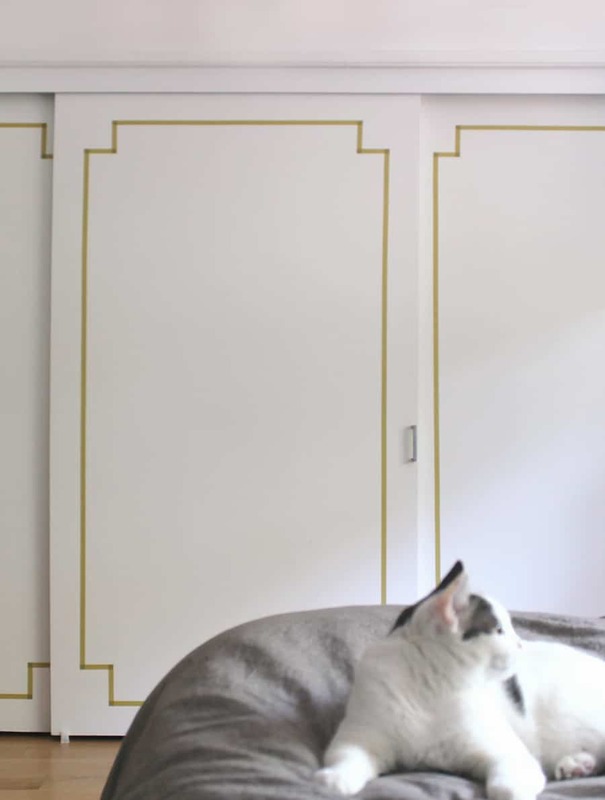 Maybe you’ve actually been hoping to add colour to your walls for a long while now but you’re just not ready to commit to the more permanent option of actually painting, especially cause you’d like to try out a design that’s a little more eye catching, just to see how it looks? 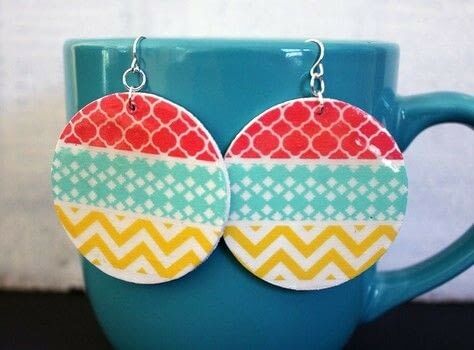 Well, believe it or not, that’s something you can do with washi tape too! 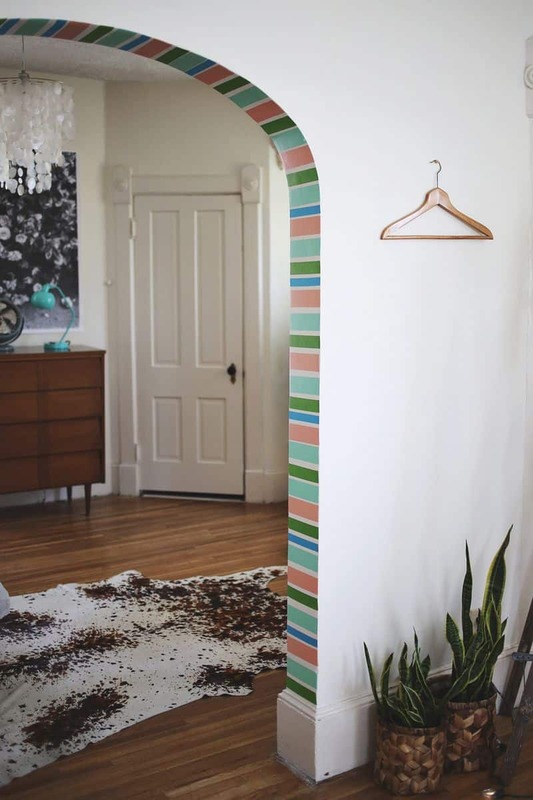 Check out how A Beautiful Mess created a fantastic multi-coloured striping pattern on the inner edge of their archway between rooms. 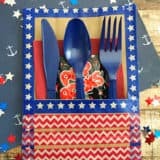 Maybe you’ve been looking for ways to incorporate simple, trendy things like washi tape into crafting with your kids, but you know they always get along best with crafts that are also toys they can play with after, just to double the fun? 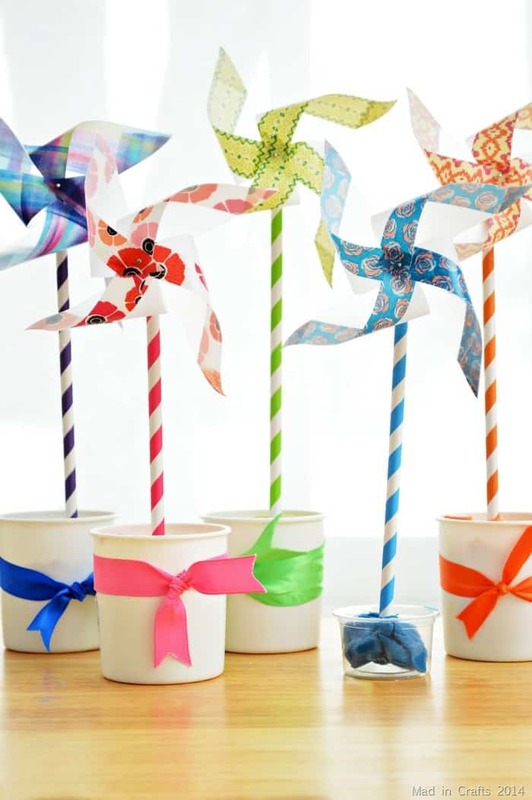 Then we’d definitely suggest taking a look at how Mad in Crafts made these lovely little washi tape pinwheels that actually spin. 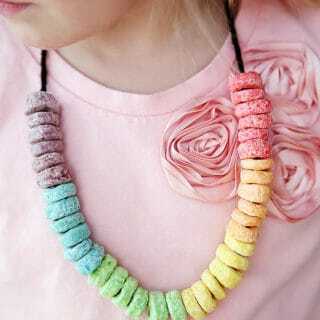 Have you been looking for all kinds of ways to help your kids make jewelry, since that’s their latest DIY obsession? 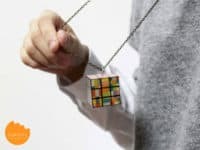 Well, here’s a way that they can proudly wear their work and show off their love for brightly coloured washi tape all at the same time! 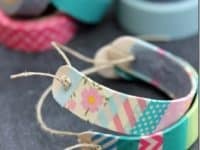 Check out how Mama Miss made these fantastic wood and string bracelets and customized them with strips of washi tape in all different colours. 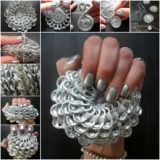 Maybe your favourite projects are actually ones that involve some element of upcycling or repurposing, especially if it means making something awesome, unique, or kitschy that you can actually wear? In that case, we have a feeling you’ll adore the way One Lemon covered the squares of an old miniature Rubik’s cube in washi tape and turned it into a necklace pendant. 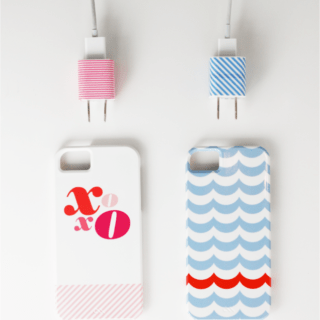 Washi tape is also a great way to transform and add personality to electronics, since those also things you wouldn’t necessarily want to change permanently with messier things like paint! 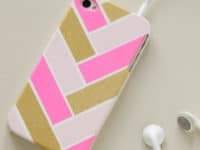 That’s why we thought this fantastic washi tape phone pattern idea outlined step by step on Chronicle Books was such a good one. 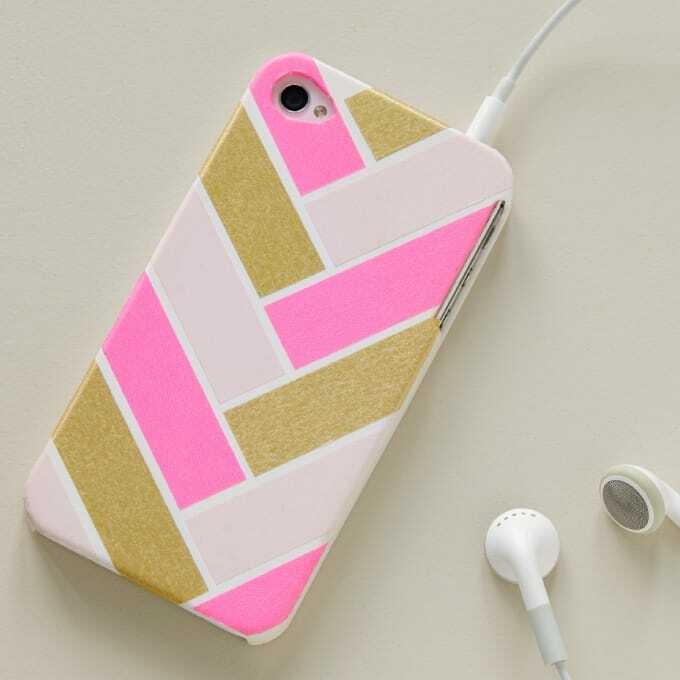 They show you how to make a simple tri-colour herringbone pattern on a snap-on phone case. 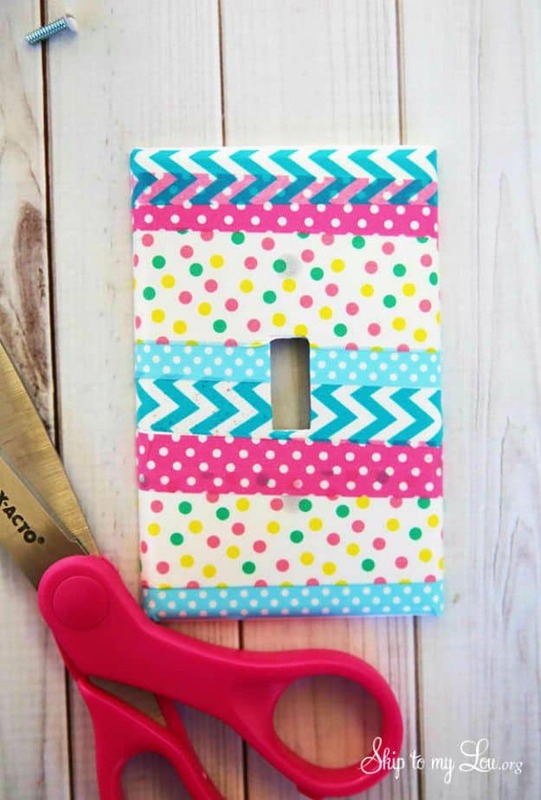 Just in case you’re still intrigued by the idea of adding colour and pattern to your home features without actually permanently changing them, here’s a simple, fun way to jazz up the smaller details, like your electrical and light switch covers! 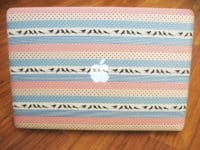 Check out how Skip to My Lou took theirs off and make simple stripes with washi tape, cutting out the whole for the switch before putting it back on. 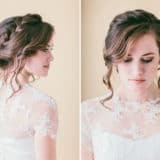 Simple peel the tape off when the style no longer suits you! 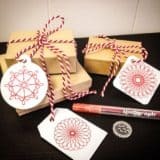 Maybe the washi tape jewelry options that we’ve mentioned are the concepts that have caught your attention the best so far but you simply haven’t seen a specific design that has kept it entirely? Then here’s another option for your consideration! 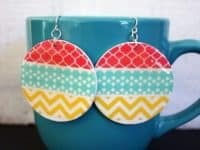 Cut Out and Keep shows you how to make a pair of striped and patterned disc earrings that are very funky indeed. 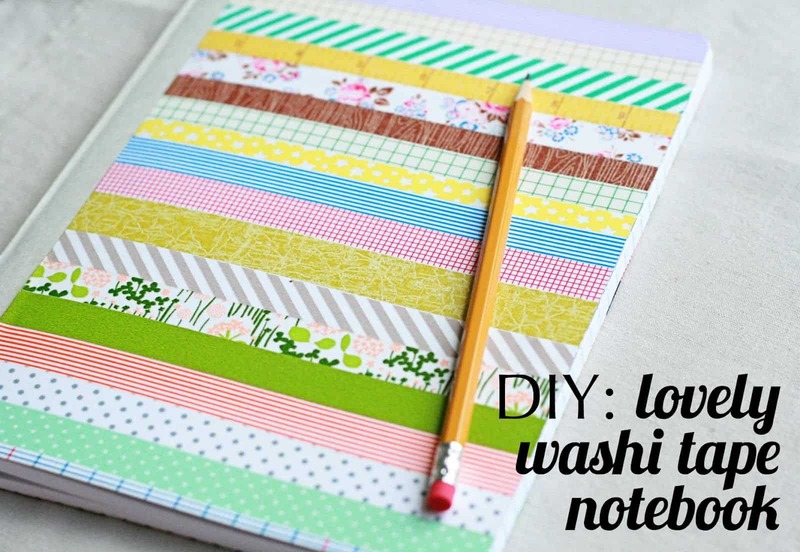 Are you actually still thinking about how much you loved the concept of customizing your school supplies in really simple ways but you’d rather alter your notebooks than your writing utensils? In that case, we’d definitely suggest taking a look at the way The Creative Place used the same stripe and stick technique you’ve seen elsewhere on all their covers! 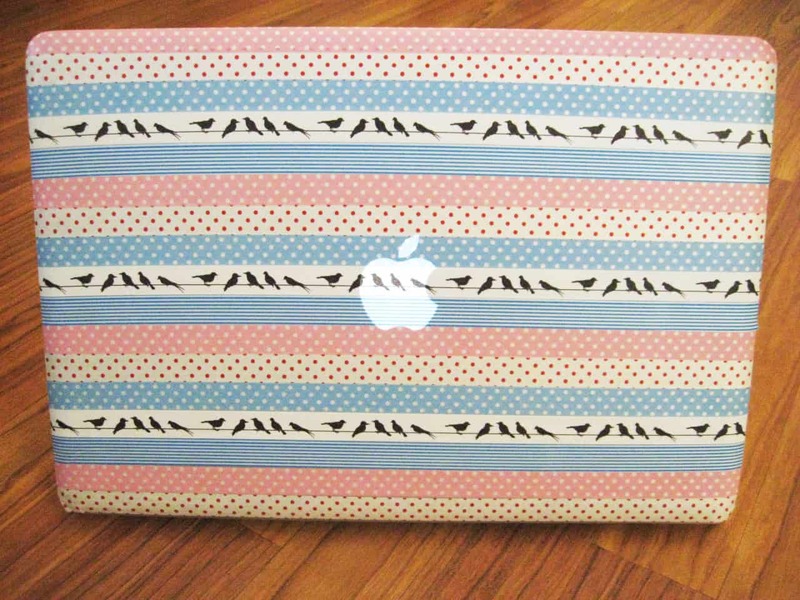 Just in case you’re so enamoured with the idea of adding low maintenance, temporary colour and personality to your expensive electronics in a way that won’t damage them that now you want to customize everything in sight, here’s an option that will help you make your laptop a little more cheerful to work on! Take a look at how these neat, even stripes were added on Make Something Mondays. 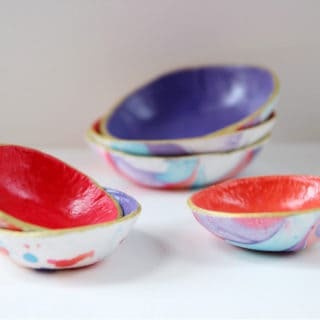 Dazzling and Cheerful Nail Polish Crafts full of Color! 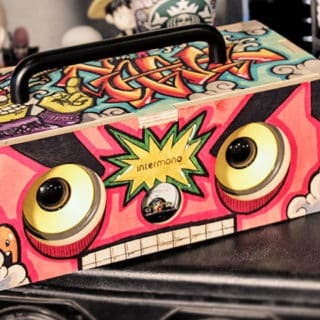 Eccentric Color and Brilliance: Fantastic Graffiti Inspired Projects!